Her Wild American Pinay: #Irma: Why You Gotta Rain On My Parade? #Irma: Why You Gotta Rain On My Parade? 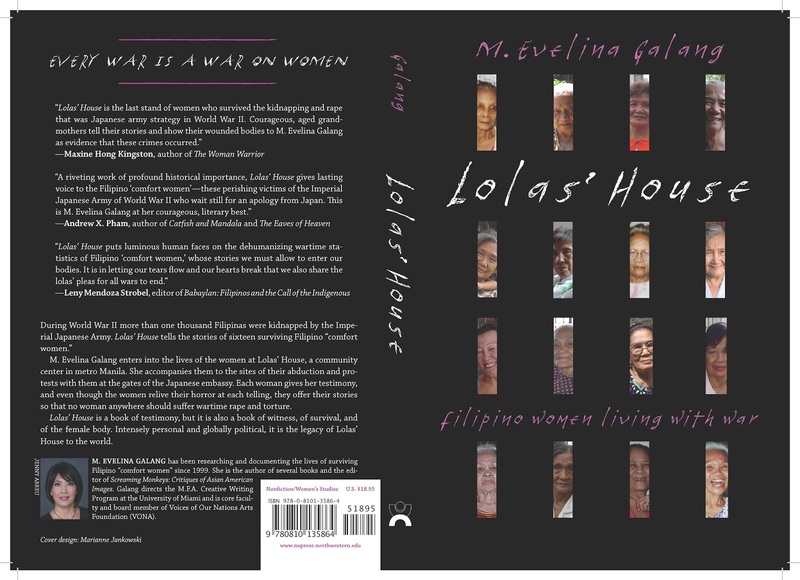 My book, Lolas' House: Filipino Women Living with War (Curbstone Books), was supposed to be launched on September 15, 2017 at my hometown bookstore, Books & Books in Miami. We were going to throw a party for the nearly twenty years in the making of this document housing the testimonies of sixteen surviving Filipina "Comfort Women" of WWII. This date is also the death anniversary of my Lolo Miguel, my grandfather who appears like a ghost in my first published short story, "Our Fathers." The date had significance for me. But who had time to think of these seemingly trivial markers when a cat 5 storm was ravaging the Caribbean, spinning like a wild beast, spitting vitriol, breaking everything--and everyone--in sight? Who could think of anything but the matter at hand: we have been told three days before the storm to close up shop, batten down hatches, leave South Florida? My husband and I talked about it. I have been living in Miami since 2002. I was on campus and a residential faculty master in a freshmen building during Rita, Wilma, and Katrina. I was a veteran hurricane survivor. But then, we had never seen a cat 5 cone covering the entire state of Florida before. We left. We took one day to ready the house, clean out our pet carriers, pack one suitcase. It didn't occur to me to bring my papers. I thought we'd be back in a few days. We drove a fourteen hour ride to my Virginia in-laws for twenty hours. On what was supposed to be my pub date, I sat at a restaurant with my husband and his sister and her husband, thinking about the book. My heart was heavy for so many reasons. Things for Lolas' House turned out better than I could have imagined, though. First of all, the actual book party happened the next weekend at Asian American Writers Workshop in New York. I shared the stage with activist and Gabriela New York's Jennine Ventura. Why is that special? When I first began my journey in search of the lolas, I asked New York activist and novelist, Ninotchka Rosca, to point me in the right direction. She sent me to Liza Maza, one of the New York leadership of Gabriela National Alliance of Women. It was Liza Maza who introduced me to the women of Liga ng mga Lolang Pilipina, Gabriela, aka LILA Pilipina. Gabriela has been one of my strongest and best resources. I like to think of them as the foundation layers of Lolas' House. Jennine Ventura gave a true activist presentation that supported and gave context to the book. She gave the night an energy that truly supported the spirit of Lolas' House and with her, the women of Gabriela. 1. Even though I felt guilty for wanting to celebrate my book during the hurricane week of Irma, I realize it was okay to feel that sadness. To resent not being able to welcome the book into the world on its publication date. This book deserves our attention. Not because it's my book, but because it is the Lolas' book. It is the house that holds the testimonies to what happens to women living in war. It is the document that questions why we allow our women to be treated without any regard for their bodies, their minds, their spirits. It is a book that demands us to hear the women. It is a call to action to stop war on women. 2. 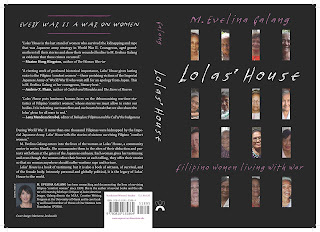 Lolas' House was meant to be introduced to the world with Gabriela at our side. 3. It's funny how Irma's path directed even this. And look how well things turned out. I have rescheduled the book launch in Miami for Sunday, October 29th. This night will be special too, for my Miami literary community will come together, and they will welcome the Lolas one by one into our bookstore, our home. 6:30PM. Books & Books. See you there.